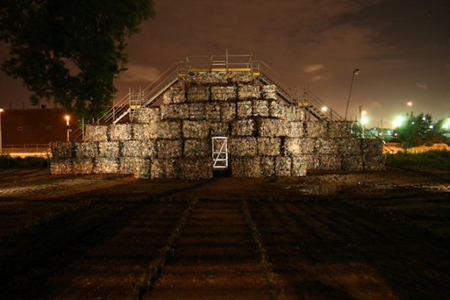 A temporary yet inspiring structure is what Salzig Design is creating as part of the 2007 Follydock Festival, the Trash Temple. 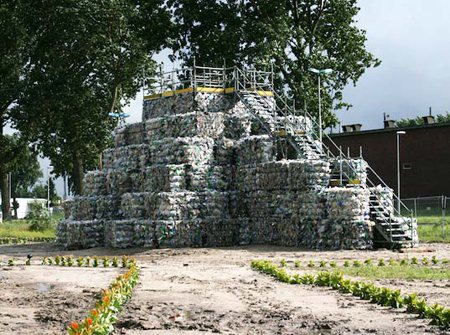 Made from 100 tons of pet bottles that are pressed into bales, this green structure is built in Rotterdam, Netherlands. 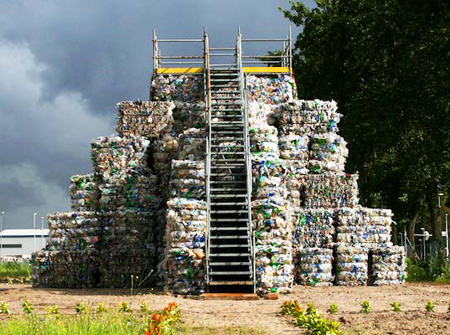 This one of a kind structure may not be erected already but the inspiration of building structures that make use of the possible harm to the environment we produce each day particularly the plastic bottles is still there and influenced many future and present designers and architects. 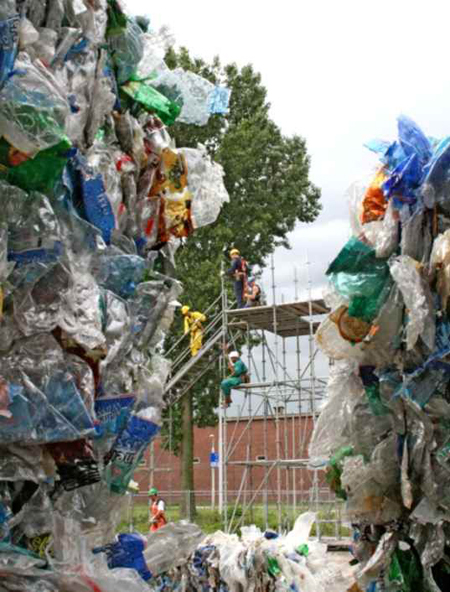 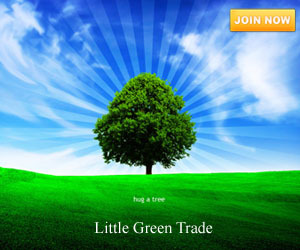 Various green projects are already created following the trash temple including the watershed, plastic boat, and the recycled bottle greenhouse.